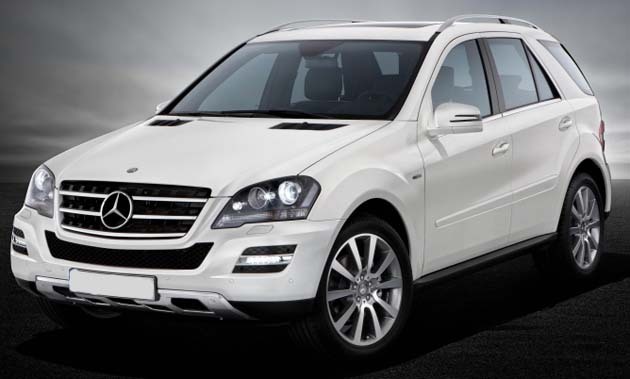 Mercedes Benz is sure rocking the automotive industry with its high end cars. Recently Mercedes Benz launched two new variants of the M class Grand namely Mercedes Benz Grand Executive and Mercedes Benz Grand Sports. M Class of Mercedes Benz offers quite interesting combination of the great off road capabilities, on road refinement, comfort and luxury. These Grand Edition SUV’s looks more sportier than any other in town as well as it is packed with more distinct features. The front is redefined in order to give it an utmost different look than any SUV possess. Headlamps are darkened, the front remodelled bumper, day time LED lights, those attention grabbing alloy wheels that sports 10 spoke design are some of the design elements. The interesting part is that the spare wheel is well hidden in its boot. From inside, this SUV provides exactly what is demanded out of it. These two models possess the entire features that is associated to the high end cars (not that it’s not amongst them). Right from the four wheel drive to the 4 ETS traction system, it carries all. Also these SUV’s are available with some distinct features like acceleration skid control, downhill speed control and also an off road anti lock braking system. The ride quality of these SUVs is monitored by the AIRMATIC air suspension which makes sure that the passenger and the driver (off course) are comfortable as well as this car is supported by an adaptive damping system which looks after the adjustment of the shock absorber in response to the various driving situation. But to get your hand on these super strong, rock stars SUV’s you need to shell out a little more than you actually do for the normal passenger cars, OK I take my words back, much more than the normal passenger cars. While the Mercedes Benz Executive Edition is priced at Rs 47.91 lakhs, the Mercedes Benz Sports Edition is priced at Rs 54.11 lakhs. Both these prices are ex-show room, Pune.